I’ve mentioned before that ever since Tori went to Heaven I’ve felt quiet, as though I have nothing to say. And so I’ve stayed quiet, not wanting to force the words just for the sake of writing. Well, I finally feel as though I have something about which I can write. Pregnancy and Parenting After Loss. As the date for our embryo transfer draws nearer, I have so many thoughts and feelings running through my mind and heart. We will be pregnant soon! I honestly feel like I’m already “nesting” even though I’m not even pregnant yet. Brennan can attest to this, haha. Granted, that’s partially because we still haven’t really moved into our house yet and I’m ready to be SETTLED. But I digress. My heart longs to be pregnant, to have the hope of future children. I just want to be a mother again, to hold and care for these precious babies who are currently frozen. But there’s a lingering fear that I can’t quite chase away – a fear that one or even both of the embryos won’t attach. That I will miscarry. That we will have two or three children in Heaven and not just one. There’s little reason to think this will happen, says my doctor. I’m healthy, fertile, and have no reason to believe that the embryos won’t attach. We’ve seen how God has moved mountains to make this even possible. So why are these fears so present? I have a feeling that parenting any child after losing Tori is going to be a greater blessing than we can imagine and yet contain the potential for greater fear than we’ve ever had before. Any symptom that reminds me of Krabbe. If they have reflux like we thought Tori did. If they have any developmental delays. Anything like that will have the potential to throw me back into the pre-diagnosis days with Tori, wondering if the genetic testing was wrong. Wondering if they do have Krabbe. I have a feeling this will be a challenge to overcome. I’m not one to be fearful, really ever. I trust the Lord and I believe that He has me in His hands. I believe that He is in control and that He knows exactly what will become of these precious frozen embryos. So I must surrender, moment by moment, any fear or doubts that creep into my mind, because I know that they aren’t from Him. I will continue to process my thoughts and emotions about all of this as we progress though pregnancy and parenthood after losing Tori. I pray that my transparency is a blessing to others and that the Lord will continue to work in and through our lives. Please pray for our embryos – our son and our daughter: pray that they will survive the thaw, that they will attach to my uterus quickly, and that they will develop into healthy, thriving babies. September 1 is quickly approaching! As you may have gathered, Brennan and I would like to expand our family and have more children. Our hearts long for this, and we’ve been working hard to make this happen. Unfortunately for us (and others with genetic mutations like ours), it’s not simple. After much prayer and wisdom-seeking from others over the past two years, we have decided that it is unwise to do this “naturally” and are instead looking to use IVF and/or adoption as a means by which we can grow our family. We started the IVF process last summer but were halted in August because of a lack of funds. We’d love to do both IVF and adoption this year, but that would mean coming up with about $50,000 or more (adoption ranges from $25,000-40,000 or more!). Even with our frugal lifestyle, that’s simply impossible. This is why I went back to work in August. This is why we sold our house, paid off Brennan’s student loan, etc. – by doing so, we freed up a great deal of monthly expenses that we can now put toward this endeavor. We are trying to save as much money as possible to go toward IVF/adoption, but even with all of our efforts we will still humbly admit that we need help to raise the funds necessary. You all have been SO generous to us over the past two years so we didn’t want to just do a fundraiser to ask for money. We wanted to offer YOU a gift, something in return…and we have the perfect thing. As you may remember, I wrote a song this summer about how I felt after Tori was diagnosed. Thanks to our amazing friend, John Amodea, the song has been recorded and is available to download! Here’s what we’re hoping will happen: enough people will buy the song (via the “Tip” button on the NoiseTrade page) that we can have/adopt a child in 2017! If you cannot afford to buy the song, please download it as our gift to you, and perhaps share the page on your own page. We’re doing this as a “pay what you feel” download…and whatever you can give is so greatly appreciated. So feel free to change the “tip” amount to whatever you would like to give. Please share our story and the song with others, too, if you are willing. We hope you enjoy the song and that the Lord uses it to encourage you. In addition, Brennan and I will be hosting an online auction to help cover the cost of IVF/adoption as we seek to expand our family! The auction will be held on Facebook (January 20-25, 2017) and we are in need of donors! Here’s the link to the Google Form we created for item donations; if you are a consultant for a company, an artist, seamstress, craftsman, musician, etc. and have something you would be willing to donate to our auction, please fill it out so that we can start to build our inventory! Or, if you have a service you can provide (massage therapy, hair cuts, photography, etc. ), that would be great as well! We’d love to have at least 100 items in our inventory! We will gladly credit you/your business for your donation and offer a link to your website/Facebook page as well in hopes that you will be blessed by this auction as well. We want to be parents again more than anything. With your help, we can do this! I have never been one to embrace or become attached to holidays like Valentine’s Day or the other “Hallmark Holidays” like Mother’s Day, primarily because I have been taught to celebrate these things daily, not once every year. I’ve also been taught to not focus on what you are lacking, but rather to focus on what you have, to appreciate all that you have been given and not dwell on what has been taken away. Paul phrased it as “being content” no matter the circumstances (Phil. 4:11). As I have mentioned many times before, the discipline of gratitude has had a profound impact on my life. When you make a point to be grateful for things and to name those things out loud (or in writing), it is much more difficult to be negative and sad. God is always at work in our lives and recognizing His hand makes life abundantly joyful, even in the midst of heartache. I am SO thankful to have been chosen to be Tori’s mama and to have had those beautiful twenty months with her. Those beautiful and wise eyes of hers spoke volumes when her mouth couldn’t: I know she loved me and I know she knew she was loved. Her existence taught me so much and her brief presence on earth has made me such a better person. I am more loving, more patient, more gracious, more kind, more GRATEFUL, more selfless, more like Jesus (which should be every believer’s goal). She was a miracle child in so many ways, and I’m so grateful. I will always be Tori’s mama! I pray that the changes I see in myself because of her are not only temporary but rather that they continue to change me to be more like Jesus. I’m thankful to be here in California with my mother and my grandmothers today to celebrate them in person. I wouldn’t be who I am today if it weren’t for these women, for their example and training, for their love. They taught me to be a mother by living it out so well in their own lives with my parents. These three women – Pat, Ruth, and DeAnne – loved me enough to discipline me and teach me while I was young because they knew that it was vitally important for my well-being. They also taught me valuable skills and I can never repay them for all they have done for me, except by carrying on this tradition of selfless love with my own children. My mom, in particular, showed me what selfless love looked like over and over again during Tori’s earthly life. She spent weeks with us, helping doing things around the house, cooking meals, and, of course, cuddling with Tori. She has always put other before herself and is such an example to all. She continued to do what she could from across the country to make our lives a little easier even though she couldn’t be physically present every day. She is an amazing grandmother and I hope that she will have the honor of being a grandmother again someday. So, on this Mother’s Day, I am grateful for my heritage and the examples of motherhood in my life. I wouldn’t be the mother I was to Tori if it weren’t for these women. ❤ It’s a day of joy, not of sorrow, and we will continue to focus on what we have been given. Today I (Lesa) had a meeting with the staff from Representative Angel Cruz’s office regarding the legislation they are preparing to introduce to reform the way Newborn Screening is done in Pennsylvania. The meeting was productive and we are ready to see this legislation all the way to the governor’s desk so that lives of children will be saved in our state. This legislation is vital because, without it, Hannah’s Law (Act 148 of 2014) will be rendered useless due to the way that Screenings are done and the way that the process works in Pennsylvania. 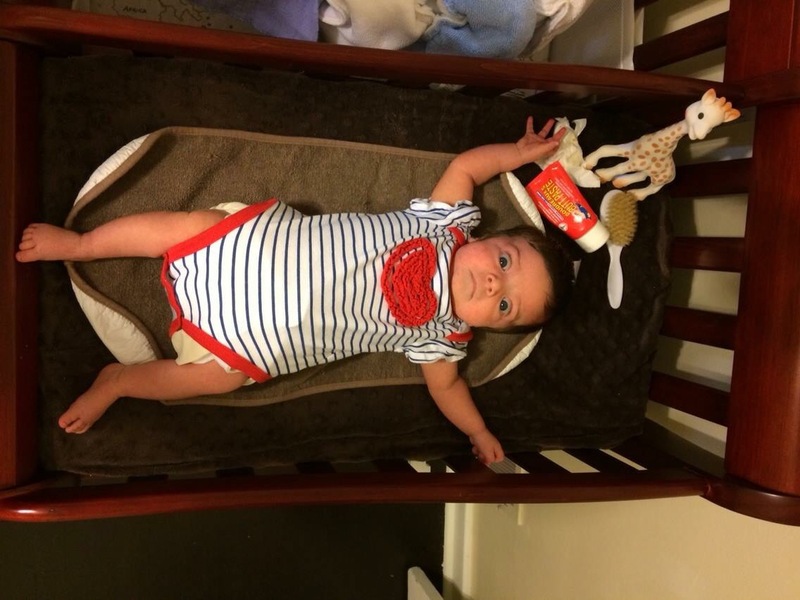 This bill would limit the Department of Health’s ability to make changes to the mandatory Newborn Screening program, like they did with Hannah’s Law (chose only ONE of the six mandated diseases to add to the mandatory testing list). You can read the co-sponsorship memo and the attached draft of the legislation here. If you live in PA and would like to encourage your legislator to co-sponsor this legislation, you can go to this website to find your legislator. Underneath the photo of your legislators you will find an email icon through which you can contact them. I am writing in regards to upcoming legislation from Representative Angel Cruz regarding Newborn Screening in hopes that you might be willing to co-sponsor and support this important legislation. The bill does not yet have a number but the co-sponsorship memo was dated March 21,2016. 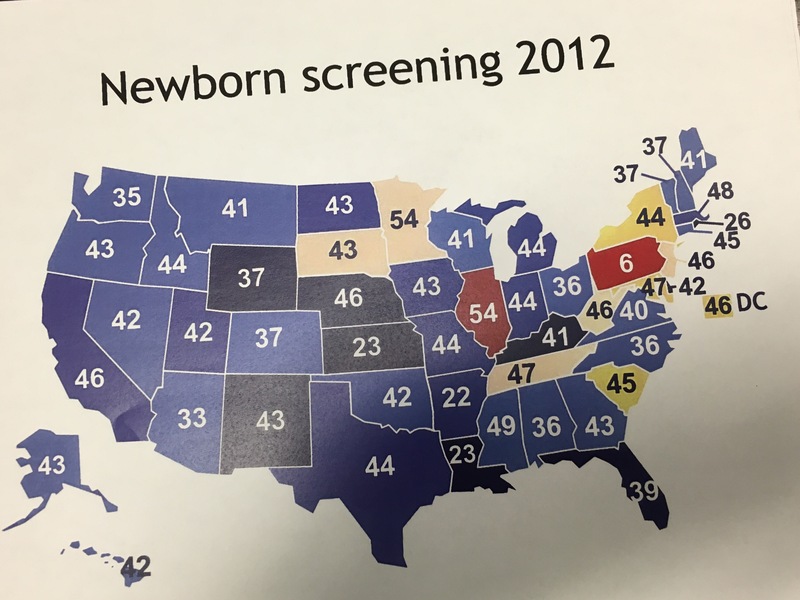 The way that Newborn Screening is conducted in Pennsylvania must be reformed. We are currently last in the country (by a wide margin) in the number of tests that we perform on babies, and these tests can save lives because early detection for many diseases is the difference between life and death. Please consider helping save the lives of children in Pennsylvania by supporting this important legislation. If that doesn’t fire you up, check out the map below. Pennsylvania is LAST in the nation by a wide margin in the number of diseases for which testing is mandatory. We are hoping to see another bill introduced in the near future to reform NBS even further, but we have to take things one step at a time. We will need your support every step of the way and are so thankful for all you have already done. Brennan and I each wrote our own posts reflecting on how we were doing one year ago, and you can read them here and here if you missed them. We joined together in this post to write about how we are doing now, which is far better than we would have expected. Unexpected is the perfect word to describe the past year of our lives. Krabbe was – and is – unexpected. Unwelcome. Unwanted. If you had asked us what we expected life to be like be one year after finding out that our daughter was dying, I’m not sure what our response would have been. However, we are certain that we would have been wrong given the state of our hearts and the quality of our lives today. We certainly didn’t expect that such an amazing, unforgettable year was waiting for us. One year ago today we were numb. Devastated. Grieving. That was to be expected. We were living in a nightmare that we couldn’t escape. Our baby was dying and there was nothing we could do. There was so much we didn’t know then, so many fears that existed in our hearts and minds. This was all so unexpected. We expected the last year to be more sad, more grief-filled than it ended up being. Yet, our grief and fear slowly turned to intentionality, to chosen joy. Today, we can honestly say that we are joy-filled, content, calm, grateful, hopeful, intentional, fully present, and dedicated to ensuring that we give Tori the best possible life we can give her with whatever amount of time we are given. Today, we love greatly, live fully and abundantly, forgive more quickly. Today, we cherish every moment more than before. Today, we are more content and more gracious. Today, we feel at peace with the future. We definitely never expected that. We are certain that God will heal her – either here on earth or by taking her to Heaven to be with Him. Heaven is the best place for any of us to be, so that thought brings us peace beyond understanding in the midst of this tragedy. We know that we have done our best to care for her, to give her the best possible life we can. If we were to lose her tomorrow, we don’t believe that we would have many regrets because we have lived so intentionally with her and loved her abundantly. We cannot change her prognosis, but we have allowed it to change us. For the most part, our days are happy and joyful; however, that doesn’t mean that we don’t have our moments of grief and sadness. We allow ourselves to feel the pain and grief when they hit us – we don’t ignore reality. We still plead with God to heal her here on earth and use her testimony to change the world. Grief will always have an occasional presence in our lives. We believe that there will be a time to grieve, but that time is not now. What is most important now is to be fully present with Tori in order to make the most of these precious few months we have together on this earth. Overall, we have changed for the better because of Tori. She has impacted our lives and the lives of others in ways we never could have imagined. You may be wondering how this is possible. How can we have such a hopeful perspective? It’s that simple for us. We have seen God work in so many ways both directly in us and through the kindness of others, and we have been so overwhelmed by Him and His love. He has been with us every step of the way, and His presence in our circumstances has been obvious. That was not unexpected because He is always faithful. He did NOT cause Tori to have Krabbe, but He has chosen to allow it for a reason we don’t yet understand. It all comes down to this: we serve a sovereign God who redeems us and brings good out of bad in our lives. He is good, He loves us, and we trust Him fully. Even in this. He has never failed us or abandoned us – why would He do so now? We all want our children to have a positive impact on the world, and Tori is already doing that in powerful ways. ❤️ God is working through her and through us, and we know that Tori will continue to have an impact for years to come. We don’t know how much longer Tori will be with us on this earth, but we do know that we will continue to cherish each and every moment and never take this life for granted again. ❤ That can be expected. Her toys sit where they were first placed one year ago, nearly untouched and gathering layers of dust. The special place in the basement that we created for her playtime, learning, and general enjoyment has yet to be used by Tori. One year ago, as we began an unwanted journey toward an unknown future, we pressed on and continued to put together her playroom. Amidst the appointments, tests, starting her on solid foods in a desperate attempt to stop the reflux, and fears of what was wrong, we continued. The day of her reflux diagnosis was the day I had already planned to drive to Baltimore with a friend to go shopping at IKEA for her playroom. 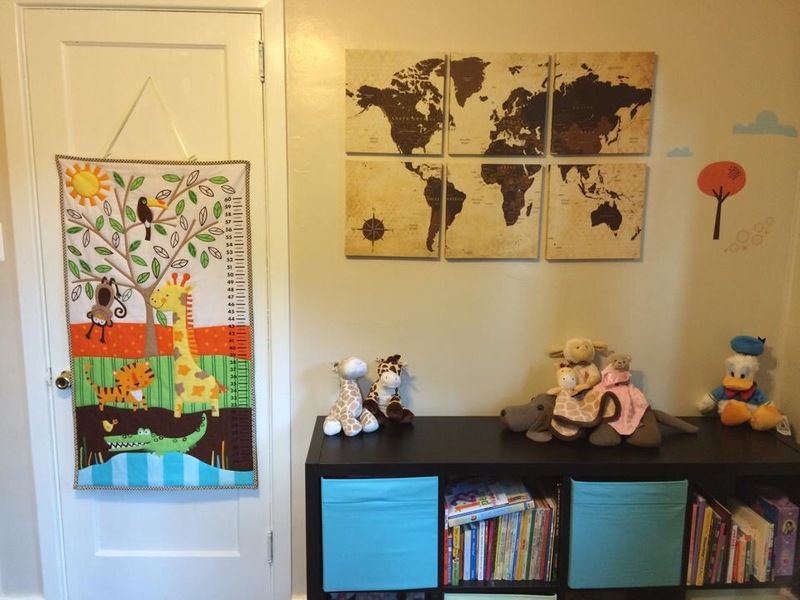 As she cried and cried – the entire way there and back – and as I pondered the accuracy of the diagnosis, a determination built up inside to finish her playroom. 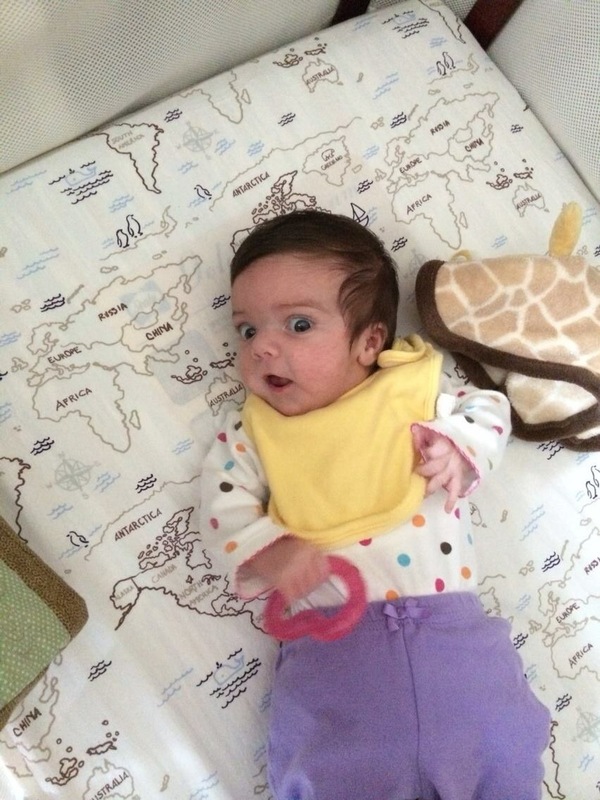 After the devastating CT scan (that showed “brain abnormalities”), I remember Brennan holding her on the couch in the basement while I labored away to assemble the cubed shelves and the playmat. I felt increasingly desperate to complete it as each piece of bad news was delivered. We assembled the IKEA furniture to store her plentiful toys, and we pieced together the colorful floor mat that would provide a more comfortable place for her to play while also teaching her letters, numbers, and colors. I assembled toys and put batteries in when required. 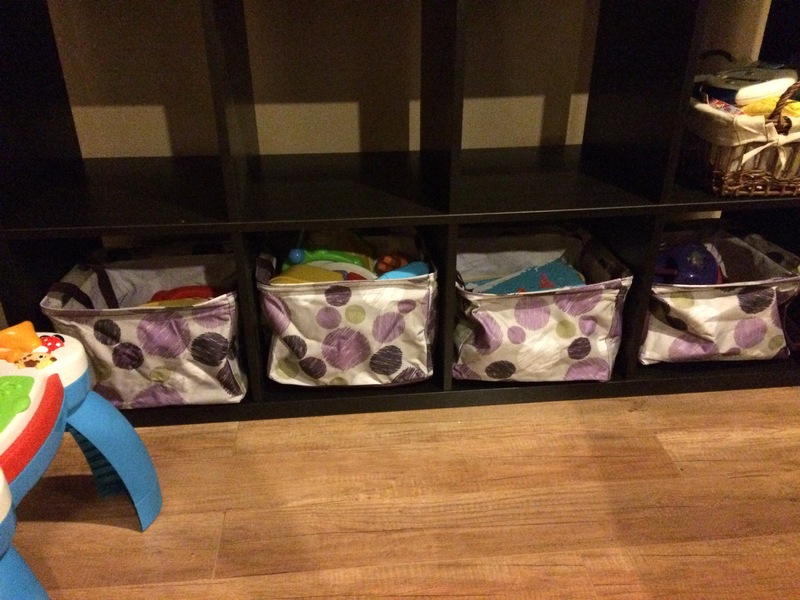 I organized and arranged her toys and stuffed animals in colorful Thirty-One bins. As long as I was working on the room I felt hopeful, I felt like everything would be okay. 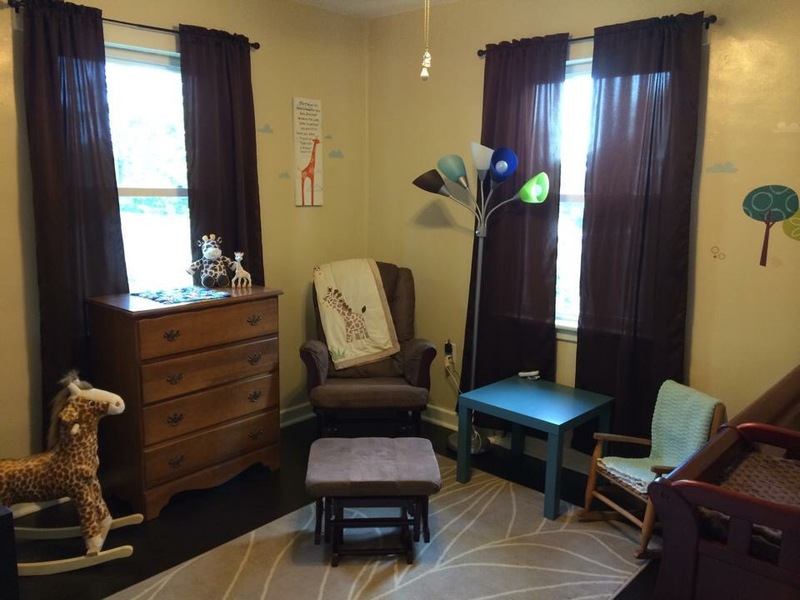 Once her official diagnosis and prognosis were received, I stopped working on her playroom for weeks. I think it was a combination of grief and of learning about feeding tubes and other new medical realities in our lives. The room became a non-priority. 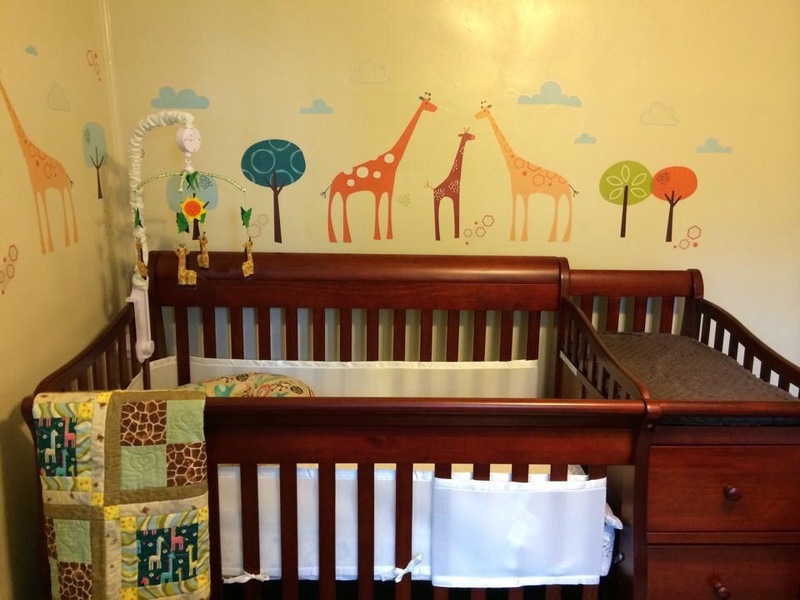 Once we decided to choose joy and hope, I finished her room. 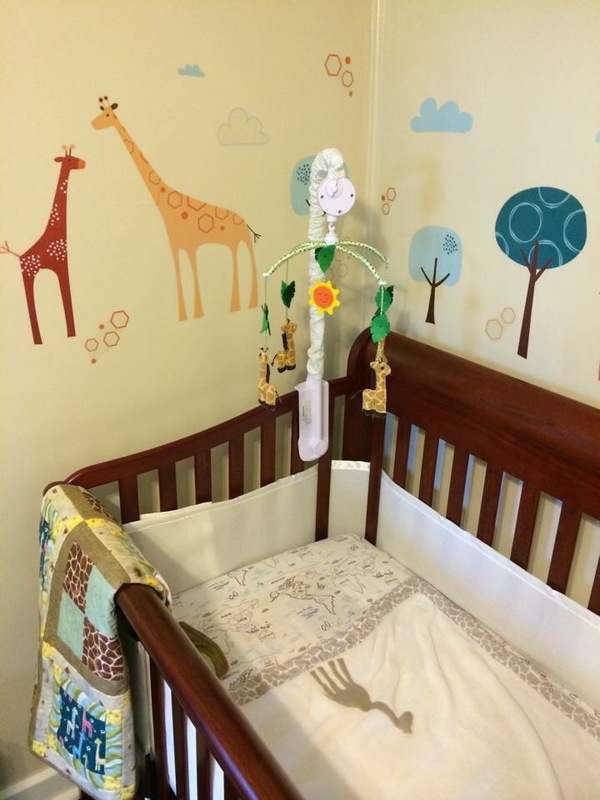 Her playroom represented hope; it demonstrated trust that God still works miracles today and that He could absolutely heal her. I wanted the room to be finished just in case God decided to heal her here on earth. It was an act of faith, in a way. She still hasn’t been able to play with most of her toys or to enjoy her playroom, but lately other children have while their parents visit with us or while we host Bible study meetings for church. I love hearing their laughter and seeing their smiles while they play with Tori’s toys. We continue to pray for her healing with every breath, and we continue to thank God for giving Tori to us, even if just for a little while. The playroom was intended for joy, and it has brought indeed that, though in a way we never would have expected. And, maybe someday Tori will be playing along with those girls, making a mess (that I long to clean up) and being loud (a sound I would do just about anything to hear). Maybe someday.